Able's Synchronised power range is in stock ready to go anytime. All our Generators 176 kVA and above are Synchronise Ready. Built in Redundancy in the unlikley event of generator failure - The other Generators keep the site powered. Convenient Servicing while the other Generators keep your site running giving no downtime. Flexible System for varying power requirements - Increase or Reduce your number of Generators easily. Underloading of Generators is Limited due to Flexible Generator Useage Options. Lower Initial Investment Cost Savings - Sometimes Can be Cheaper than Purchasing 1 Large Generator. Fuel Useage is Similar or Better to Single Generator Systems. Can be Setup for 90% Plug & Play Operation. Any Combination of Generators can be Used in Parallel. All Generators can be Monitored and Controlled Offsite via the Internet. 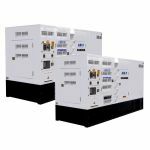 Using multiple or parallel Able gensets load sharing as a Power Management System has many benefits, like saving on fuel costs, equipment replacement can be done easily with a power disruption and improved flexibility with maintenance. Running generators in parallel or not to parallel diesel generators? Synchronised generators have always been significantly better over a single large generator. Up to now using generator load sharing systems or running parallel generators have been limited to large projects like mining or mission-critical uses like hospitals because of the higher cost, space, and level of complexity to set up and maintain. Able Sales with their use of sophisticated integrated digital control technologies, it has now become cheaper and easier to operate paralleling generators and benefit from them. So, what are the benefits of running generators in parallel or generator paralleling and load sharing? Greater reliability is offered than by a single generator, if one unit fails, the loads are redistributed among other units in the system. With paralleling generators, this means that the units will have the redundancy necessary to maintain power even if one of the units goes out. It is easier to allow for variations in load without overrunning your budget or piling up expensive gensets that rarely get used. This type of generator set up is also known as load sharing in parallel generators, load sharing generators, synchronous generators, synchronized generators, synchronizing generators, synchronised generators, generator paralleling, generator paralleling and generators in parallel operation. Why parallel? Why not simply get a bigger generator? There are many reasons why somebody might not need to simply buy a bigger generator. The foremost common reason is once somebody already owns an electrical converter generator then discovers later they have a bit additional power needed. This is often smart to buy a further generator to accommodate the increased power desires instead of abandoning their current setup. 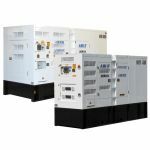 what is more, electrical converter generators can be more fuel economical and considerably quieter than a comparable sized open frame generator? This is often as a result of larger 4000-5,000+ watt (non-inverter generators) run at an identical throttle till manually adjusted. Electrical converter generators (even once running in parallel) typically have an eco mode and technology to vary throttle supported power demand. Thus, they're is a way additional economical setup and far more moveable. 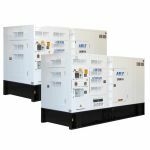 Lastly, there are many parallel capable generators accessible for purchase that are roughly constant cost as an equivalently power-driven open frame unit. 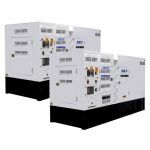 Having 2 generators offers additional flexibility supported power desires AND a possible backup if one were to fail while off the grid. Of course, one unit alone won't run an AC unit, however at the smallest amount would run the fundamentals. Parallel generators does it harm the Generators? Running synchronised generators or Generator Load Sharing isn't a harmful exercise as long as they're 2 generators that are designed to be run in this manner. Moreover, most generators need a specific parallel cable to create this work. The explanation for this can be that every generator has its own laptop within. They're not designed to figure well together among totally different makers. This synchronization is usually solely attainable if the makers are identical like most powerful Able generators are.